Mark Cuban has become one of the world’s wealthiest entrepreneurs through his bold and ingenious approach to business, sports, and life. 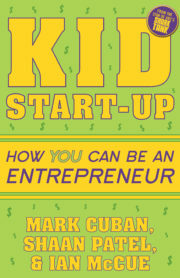 He is a businessman, investor, owner of the Dallas Mavericks, and one of the “shark” investors on ABC’s Shark Tank. Cuban revealed his entrepreneurial streak at a young age when he sold garbage bags to his neighbors, his first step on the road to becoming a billionaire. He previously wrote the book How to Win at the Sport of Business. 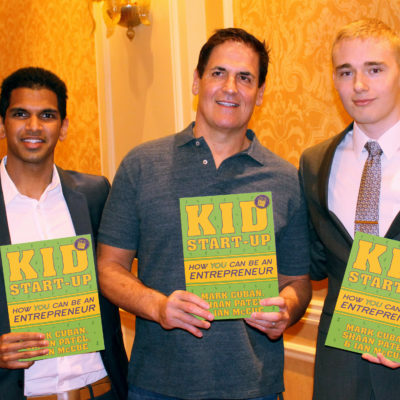 Shaan Patel is a Shark Tank entrepreneur who made an investment deal with Mark Cuban for his company Prep Expert SAT & ACT Preparation. His entrepreneurial streak began when he sold his Pokémon cards to his friends in elementary school. Patel is a bestselling author and a dermatologist-in-training. He has an MD from USC and an MBA from Yale. Ian McCue is the founder and director of Spark Skill, an educational startup offering coding, design, and maker summer camps for tweens and teens, a company McCue launched when he was fifteen. He is an entrepreneur with extensive experience in STEM and educational ventures, along with a passion for promoting youth engagement in coding, engineering, and business development.